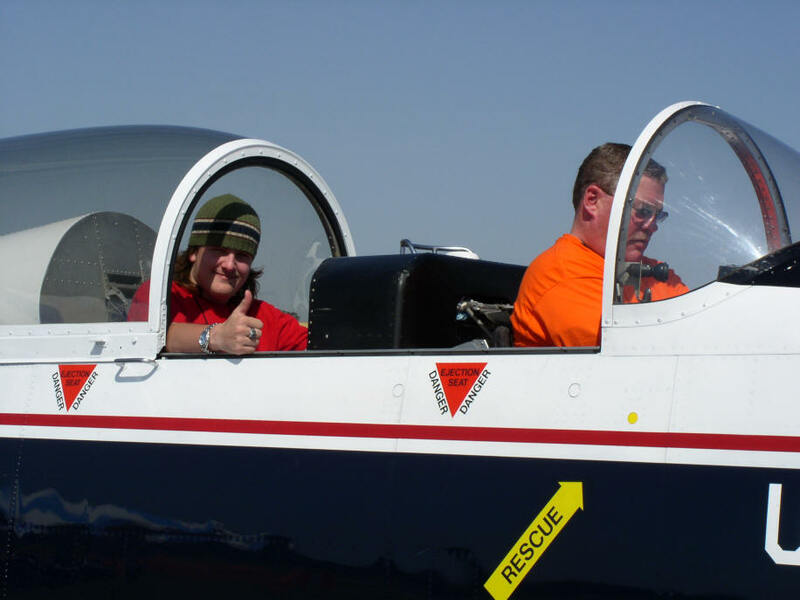 Levi Receives T-6 Ride at Lumberton NC. 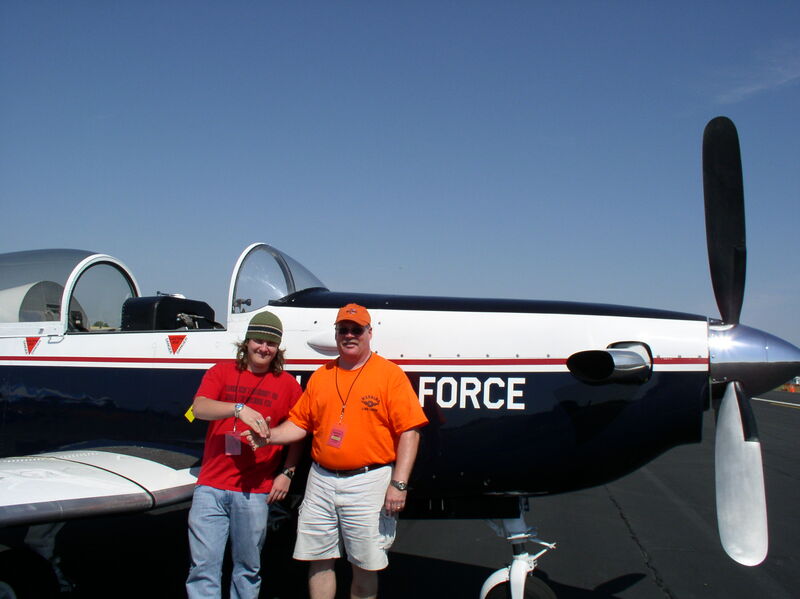 Levi worked as a sound equipment roadie at the Mid-Atlantic Fly-In and Airshow, Spring 2007. 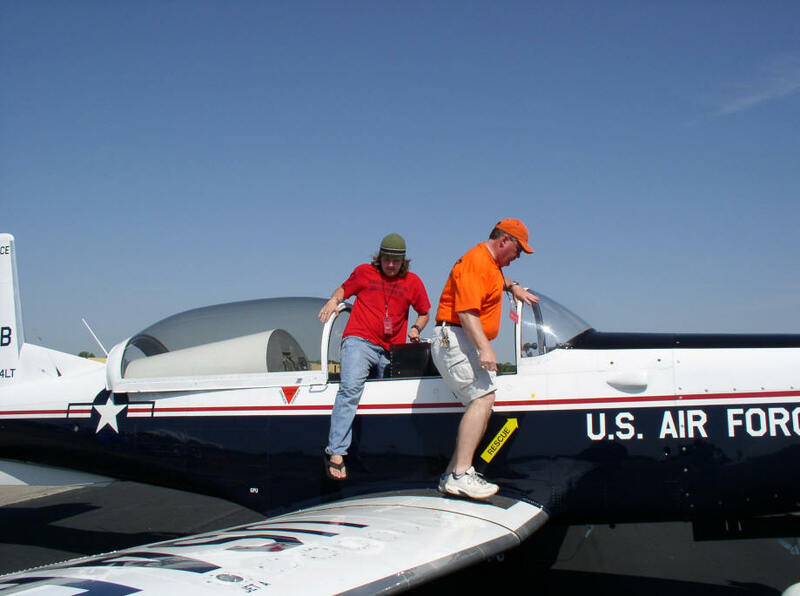 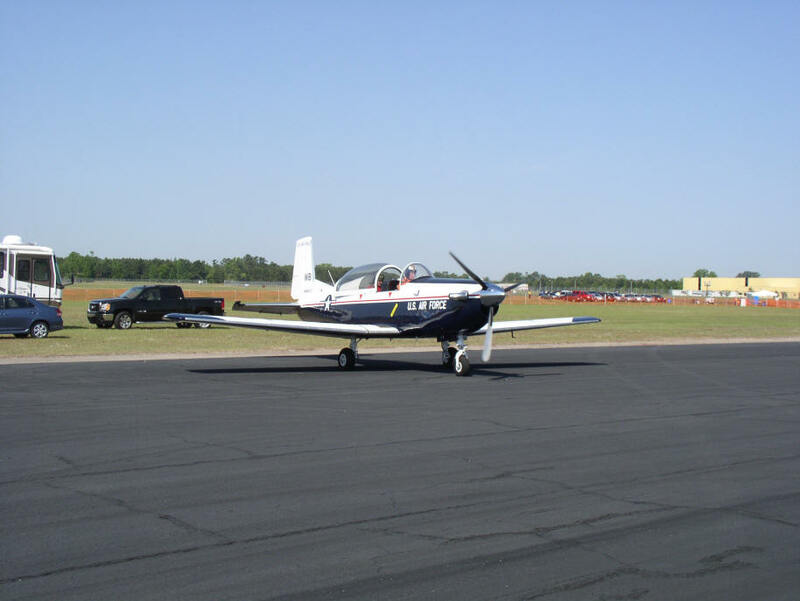 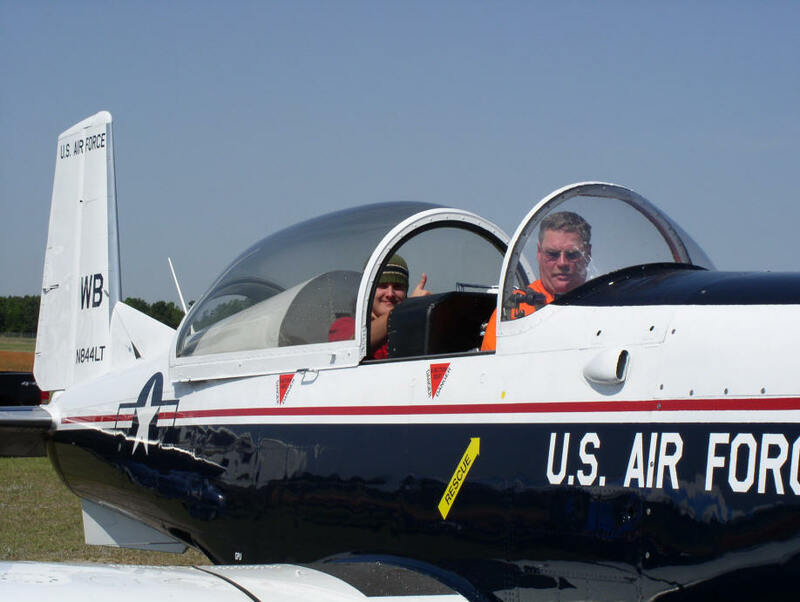 He received a orientation ride in a civilian version of the USAF T-6 Trainer piloted by Barry Avent of Bennettsville, SC.